Yamadera Temple is a temple of the Tendai Buddhist sect. The main temple building is a National Heritage site, and the beechwood building is said to be the oldest in Japan. To get up the mountain there are 1,015 stone steps, and it is said that with each step you take up this path, your worldly desires fade further away. 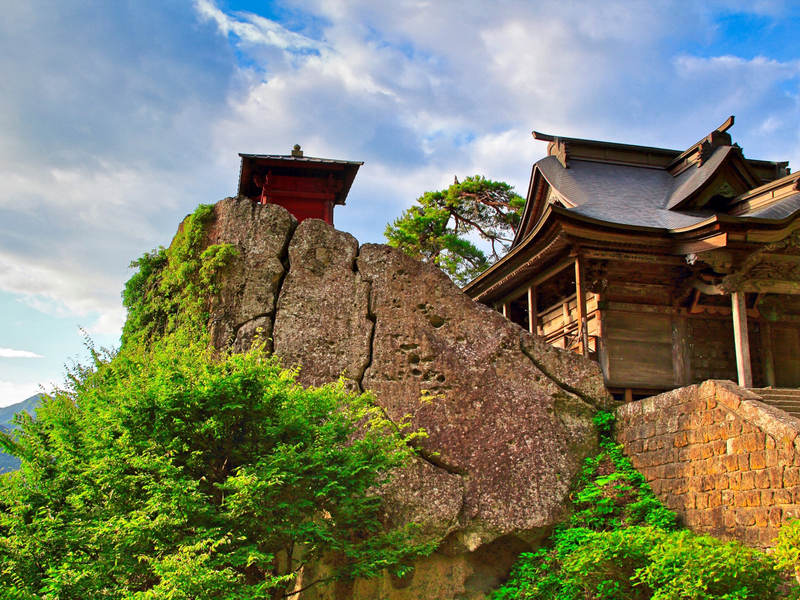 This temple also featured in the travel journal of the famous Edo-period (1600-1867) poet Basho.